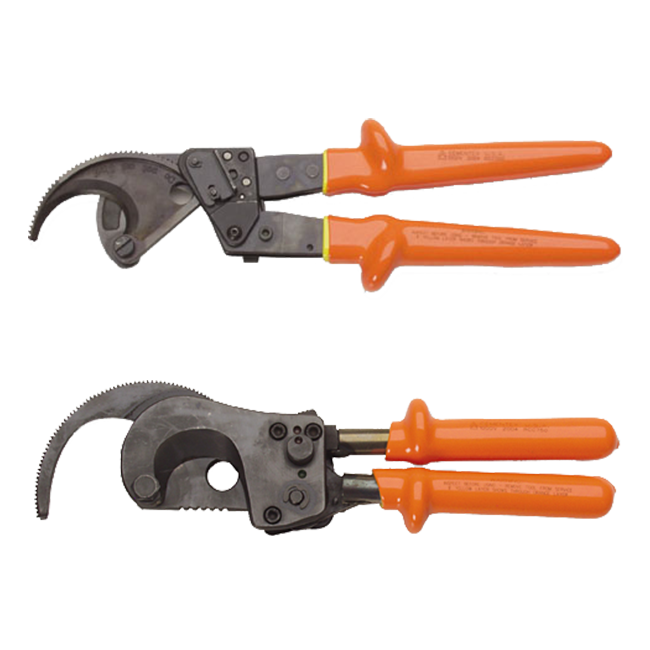 Cementex ratcheting cable cutters are tested to 10,000 volts and rated for use up to 1000 Volts AC and1500 Volts DC. There is a lifetime warranty on tools; two year warranty against manufactured defects on insulation. Cutter for stranded & flexible copper and aluminum cable up to 500 MCM (240 mm²) or diameter of 1.40″ (35mm). Cutter for stranded & flexible copper and aluminum cable up to 750 MCM (400 mm²) or diameter of 1.60″ (40mm).